THIS year’s mining death toll of 21 at Sibanye-Stillwater mines has exposed this mining house to class action, as well as political attack. To Sibanye’s credit, it has organised two safety summits giving stakeholders the opportunity to express their feelings, and to come up with joint solutions. At the last summit, Sibanye CEO, Neal Froneman, made the point that each fatal incident was unique and that they were unconnected. While judicial enquiries will establish the facts, discussions held with stakeholders at the safety summits seemed to support Froneman’s views. The discussions also showed that all parties – from company management, employees and trade unions, to the Department of Mineral Resources (DMR) – have to reflect on what impact they have on mine safety. It was pointed out that probes into mining fatalities were flawed because of a need to find a culprit and so those involved would try to shift the blame. Hence, there is usually not an objective focus in getting to the real root causes, and as such, no adequate lessons can be learnt to prevent a recurrence. Safety procedures usually get added to protocols after such an investigation, and so the list of safety protocols grows all the time and eventually, workers cannot keep up with ever-changing procedures, it was said. 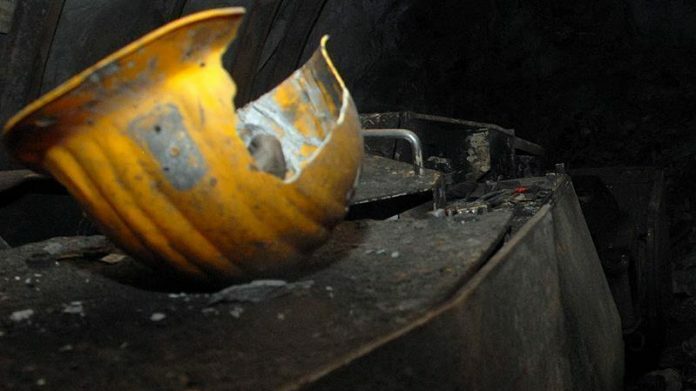 At a recent mining safety forum, mining trade union the National Union of Mineworkers made a case that a “bully culture” that is prevalent at Sibanye lies at the heart of the fatalities. Apparently, the company threatens any party with legal action should the cause of an incident be ascribed to the company. Moreover, company culture discourages workers to withdraw from an unsafe area, despite it being a right in terms of the Mine Health and Safety Act. An occupational health expert who attended one of the summits, Advocate Van Vuuren, was of the opinion that the production bonus system results in managers and workers pursuing production bonuses. In the process, warning signals are being ignored and safety processes could possibly even be circumvented in a bid to increase production. Mineworkers’ union the Association of Mineworkers & Construction Union (AMCU) came with a surprisingly sober approach by making the point that trade union rivalry could impact on safety. For instance, members from one trade union do not accept instructions coming from a supervisor who belongs to another. There was also the issue of the negative impact from the DMR has on mine safety which can be traced back to former minister, Mosebenzi Zwane, who had politicised the Inspectorate. This meant competent inspectors had left the Inspectorate. This left inexperienced inspectors issuing unclear work stoppage notices, leading to confusion and unnecessary tension around the interpretation of a notice. Adv. Van Vuuren believed that, for a start the new minister, Gwede Mantashe, must appoint a permanent Chief Inspector as a matter of urgency. It is also possible that Sibanye’s appetite for takeovers and its use of contractors are preventing the “Sibanye way” from establishing itself among mineworkers of different work cultures and approaches to safety. Moreover, the migrant worker system also requires that language and ethnic differences are managed on an ongoing basis, and if increased employment of female workers comes in conflict with an outdated patriarchal system tension to boot, then tension increases even more. All this conflict diverts the attention from safety. According to Van Vuuren, shortages of key staff being experienced underground seem to be a general concern. Those shortages lead to supervision vacuums and create the need to work harder. Staff shortages also mean that less leave can be taken with the result that the risk for negligence increases. As an offshoot of the production bonus system, workers do not want to put in sick leave because of the loss of income that comes with it and these workers who are unfit to work, increase the safety risks. Luckily there is consensus among stakeholders when it comes to the importance of training and re-training of miners as part of refreshing their knowledge and to intensify safety awareness. Unfortunately, it has also been mentioned though that training is sometimes neglected or shortened due to production pressure. The judicial enquiries are expected to clarify the causes of mining deaths, but as it was rightly pointed out: “Employee commitment to safety starts at home and if a miner ignores a stop street on his way to work, his attitude towards safety becomes a danger to colleagues deep underground”. No so-caled ¨Summit¨have ever resolved anything, safety related or any other issue… Even though the fatal incidents have various and widely varying causes, I do not agree that they are unrelated. The basic cause of all of these is a failure of the safety management system. This is the primary responsibility of the manager and cannot be delegated. All fatalities (excluding seismicity) are the result of the at risk behaviour of people. Someone did something he should not have done or did not do something he should have. The goal of the safety management system is to foster a culture of compliance and more importantly risk awareness. Employees who are risk takers will be identified when the system works well and will be removed from the risky áreas/ jobs before they injure themselves or others. I agree that experienced miners should become the inspectors, not unemployed youth from the streets with a political agenda who is given 18 month´s training by similarly inexperienced ¨seniors¨. They have no hope of ever identifying the real risks and are therefore simply section 54 issuers…. Froneman should perhaps try to spend more time on proper management and less time on politics…. My company ran a very successful Safety Campaign for Sibanye 2016-2017(Sharp sharp). It worries me more to see the recent safety incident at Sibanye. Ready to assist.